Islamic State fighters take control of large parts of the Yarmouk refugee camp in Damascus – a sign that the brutal jihadi group’s is trying to open a new front in the Syrian capital. 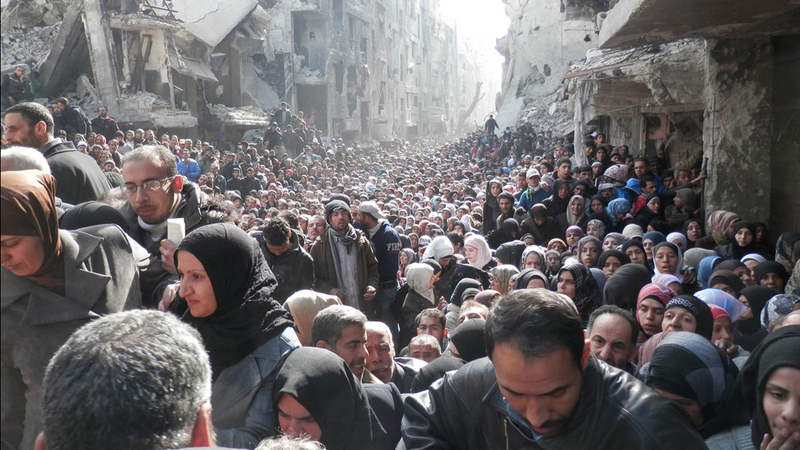 Yarmouk, once considered a safe haven for 160,000 Palestinian refugees in Syria, is now home to 18,000 people who have been trapped in the one square mile district with limited access to food and water and no electricity. The Syrian government began its siege of Yarmouk in 2012, forcing its residents to live as prisoners in a violent purgatory. A report by Amnesty International says numerous war crimes have been committed by the government forces in this siege. 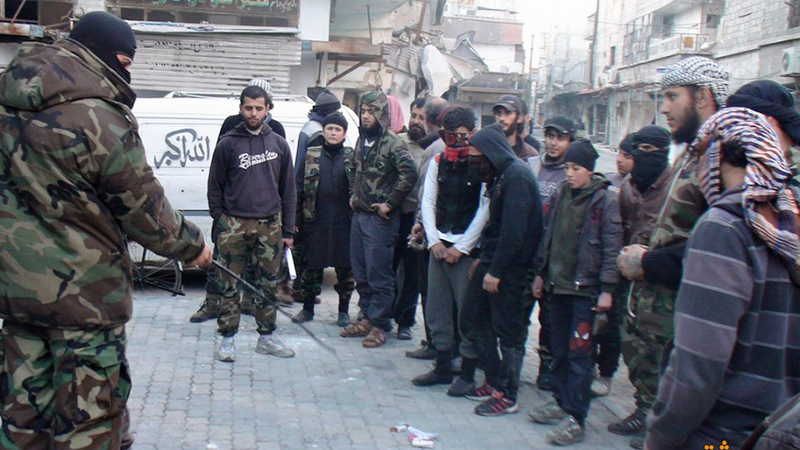 However the armed opposition groups have also brought misery to Yarmouk’s residents. Amnesty reports they have mounted their own sieges of areas still loyal to Assad and “interfered with free flow of food” to the citizens there. On Wednesday a monitoring group said the Islamic State group had seized control of large parts of the camp. A witness said fighters from the al-Qaeda linked al-Nusra Front had joined Islamic State fighters in the battle for Yarmouk. The two groups are bitter rivals in much of Syria, but rumours emerged towards the end of last year that the groups had formed an alliance. Islamic State fighters were reported to have attacked from the neighbouring al-Hajar al-Aswad district to the south of Yarmouk. The long-fought over refugee camp is located in the south of Damascus, approximately two miles from the centre of Damascus and four miles from Assad’s presidential palace. 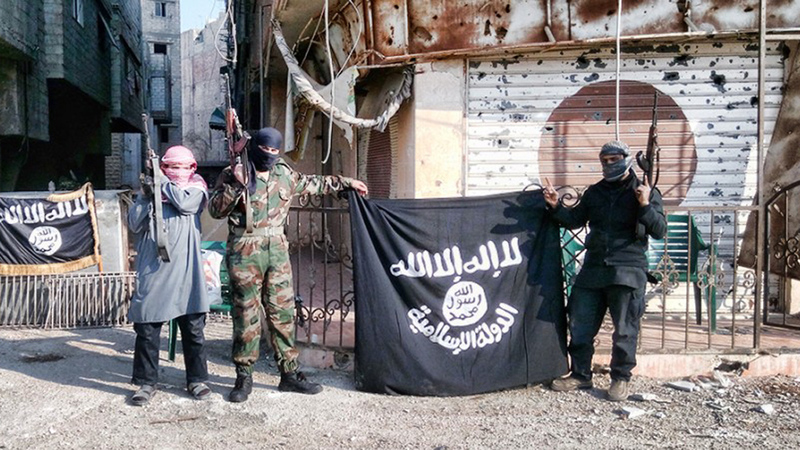 A small group of Islamic State fighters have been quietly located in al-Hajar al-Aswad since last September, but recently began expanding its activities and associated public relations campaigning. 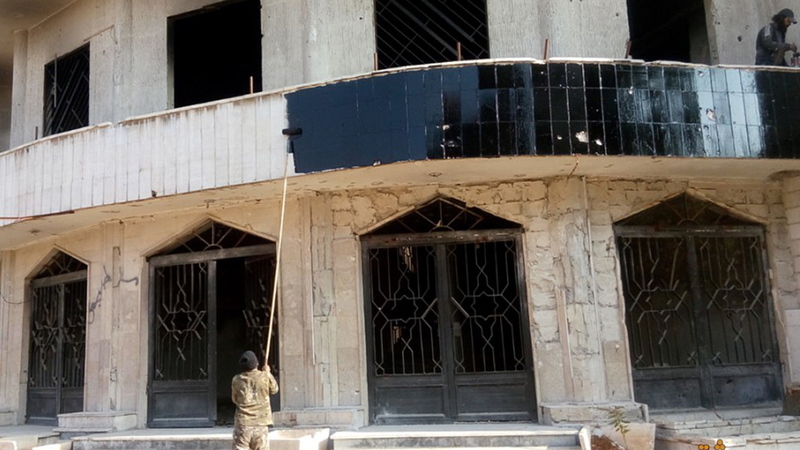 The group began listing its attacks on Assad’s regime along the borders of al-Hajar al-Aswad, and also posted pictures of civilians “pledging allegiance” to the group. 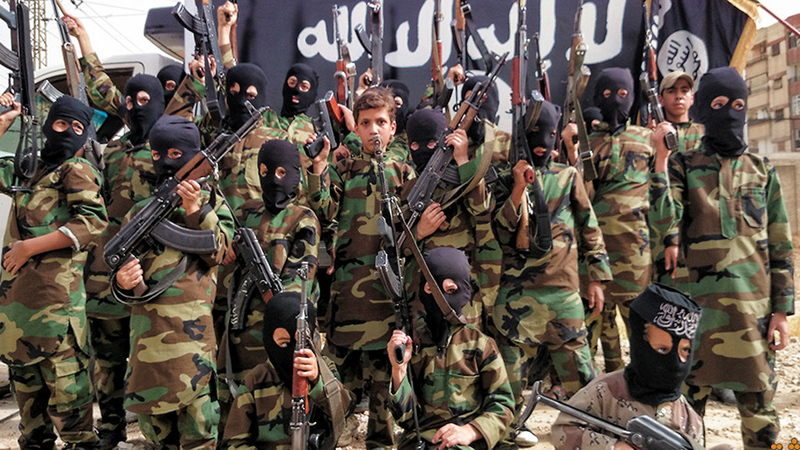 Islamic State social media accounts also began promoting its “governance” of the region, including street maintenance, drug enforcement and its military training camps for children (see pictures, below). “Failing to address ISIS presence in western Syria may enable ISIS to establish a foothold in terrain critical to the end-state of the Syrian conflict while diverting the resources and attention of the moderate opposition”, the Institute for the Study of War said. The Institute for the Study of War also suggested that following defeats in Kobani and in parts of Iraq, the Islamic State group was looking to open new fronts. One of those new fronts is Yarmouk, were clashes are continuing. People living in Yarmouk resort to collecting ground water, and burning their clothes, in order to survive (audio and video, below). The UN Relief and Works Agency (UNRWA) has reported that, due to the violence around Yarmouk, it was only able to distribute food on 131 days in 2014, averaging 89 boxes of food per day. To meet the minimum nutritional standards the people of Yarmouk need at least 400 boxes a day.